The mother of a newborn baby girl found inside a plastic bag in a river has been sentenced to two years' probation for concealing the birth. But how did detectives track her down? 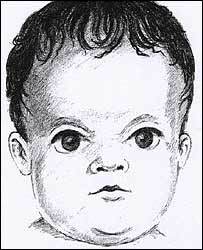 Baby Lilly was found on the banks of the River Alne near Alcester in Warwickshire on 11 May, 2006. 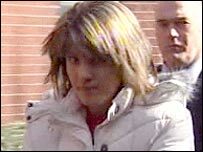 Detectives revealed she had suffered several injuries including a fractured skull and collarbone soon after birth. But they had few leads as to who the mother was, despite several appeals including one on the BBC's Crimewatch programme, and it took almost a year to trace her. The only clues were in the bag in which she was found, which also contained towels, clothing and a sanitary towel. In the end, detectives were helped greatly by the work of the Forensic Science Service (FSS). Despite having worked on some complex cases, such as identifying British victims of the Waco siege in 1993 and those killed in 1999's Paddington train crash, the service said it was the most technically complex case it had encountered. Dr Tim Clayton, a consultant forensic scientist with 17 years experience, described it as ''highly challenging" and said that on occasions, colleagues were a little "gloomy" about getting a result. "Because of the circumstances of the find, everything was massively waterlogged and in an advanced state of decomposition. "The DNA was extremely degenerated and we had to use every trick at our disposal to piece it together," he said. Getting a DNA profile both of Lilly and then her mother proved to be a tall order which took weeks and weeks. "Because of the decomposition of the body it was very difficult to get a profile. With an adult we can use a tooth or bone but it's not so easy with a baby. "It took weeks and weeks to get a sample." Eventually, samples were extracted from a muscle and then painstakingly, partial results were pieced together until there was a whole profile. The next job was to get the mother's profile which scientists hoped could be obtained from blood on towels and other items found in the bag. But the river had washed away most of the blood stains and what did remain had putrefied. "In the end we used a sanitary towel which, because they hold in the blood, had bound some in and protected it," Dr Clayton said. "Mother and child share half a DNA profile so eventually we knew we had found the mother's." But despite this, there were no matches on the police's DNA database to enable detectives to trace the mother. Eventually police spoke to Miss Davies for undisclosed reasons and took a mouth swab which revealed her to be the mother. "We performed dozens and dozens of tests and a lot of money was spent on getting a result," he said. "Warwickshire Police were prepared to go the extra mile to get there."